Micromax today announced the launch of Canvas Pulse 4G, the latest entrant in the company’s online 4G LTE smartphone portfolio. 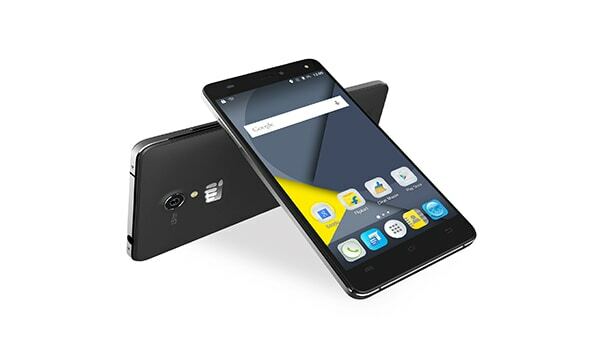 With the launch of Canvas Pulse 4G, Micromax has further strengthened its portfolio of 4G LTE smartphones to 14 models. Available on the open sale model on Flipkart, the Canvas Pulse 4G is a premium product offering that aims to cater to the growing needs of the millennials who want to be always connected whether at home or on-the-go. And with this exclusive collaboration, Micromax will be able to reach out to more than 45 million registered users of Flipkart across 8200 pin codes. The Canvas Pulse 4G, apart from being a 4G enabled smartphone, has been designed to meet the needs of the Indian consumer. Extending a differentiated 4G experience, the smartphone addresses three key consumer needs of a large immersive display & good form factor, a cost-efficient internet experience and heightened & efficient performance. Power packed with a 5-inch HD IPS display, a powerful 1.3 GHz octa core processor and a 3GB DDR3 RAM, the Canvas Pulse 4G promises to deliver unparalleled 4G smartphone experiences. Time travel to your perfect moments with the 13MP Auto Focus rear camera and 5MP FF front camera, making it a perfect treat for the photography enthusiasts. The Canvas Pulse 4G comes with a long-lasting battery capacity of 2100 mAh to enable the consumers to do a lot more with their smartphones. The smartphone comes with the AAC 1318 speakers and NXP sound solution for the music aficionados which enable louder sound, deeper bass and unmatched sound clarity with less clipping in the amplifier and less distortion from the speaker.